The VR community exploded after a Croteam employee alleged that Oculus tried to buy exclusivity for Serious Sam VR. The truth is a bit more nuanced. Here’s the key difference: If every VR headset is a platform, then companies can justify holding back “exclusive” content to entice consumers into their ecosystem. If, on the other hand, a head-mounted display is just a fancy monitor you strap to your eyes—equivalent in status to a mouse or a keyboard or a pair of headphones—then exclusive content makes no sense. You wouldn’t buy a monitor just so you could play the new Doom, for instance. And it’s a conflict that’s come to a head this week, in probably the most confusing way possible. First, put down your pitchfork. Then, let’s lay out the chronology of events. But if what Kotlar says is true, then that’s exactly what’s happening now, so I got in touch with Oculus to see what’s going on. And then everything really went to hell, and Croteam CTO Alen Ladavac waded into the fray with a comment and his own Reddit thread. “We regularly offer developers financial grants to help fund early development of new titles to accelerate development or expand the scope of the game. In some cases, we exchange funding in return for launching on the Oculus Store first, with the expectation that the game will go on to launch on other platforms. So, assuming Oculus and Croteam are on the up-and-up and this isn’t just damage control, then Kotlar was only half wrong. 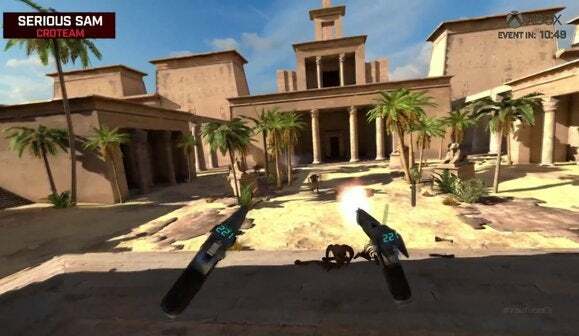 Oculus didn’t try to “buy” Serious Sam VR. Not entirely, anyway. Instead, I assume we’re looking at a deal similar to the one struck with CCP to keep EVE Valkyrie exclusive to the Oculus for six months. If you still have an ideological aversion to those tactics, I can’t blame you—I too have more fondness for the old “If one succeeds, we all succeed” attitude the VR community used to pay lip service to—but I can’t fault Oculus (as a business) for trying to get something for its money. I just can’t really applaud them for it, either. The most you can do is try to support companies that are more magnanimous. 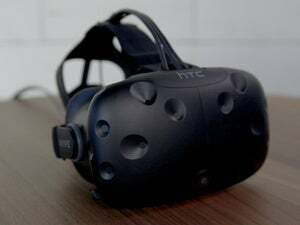 Companies like Razer, believe it or not—the company announced yesterday it’s donating five million dollars to help kickstart VR development for games across all platforms, not just its HDK2. 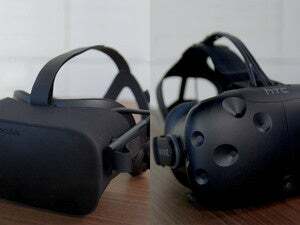 Maybe it’s time we look to other leaders in VR and stop treating Oculus like it’s the be-all-end-all, lest they actually become the be-all-end-all.